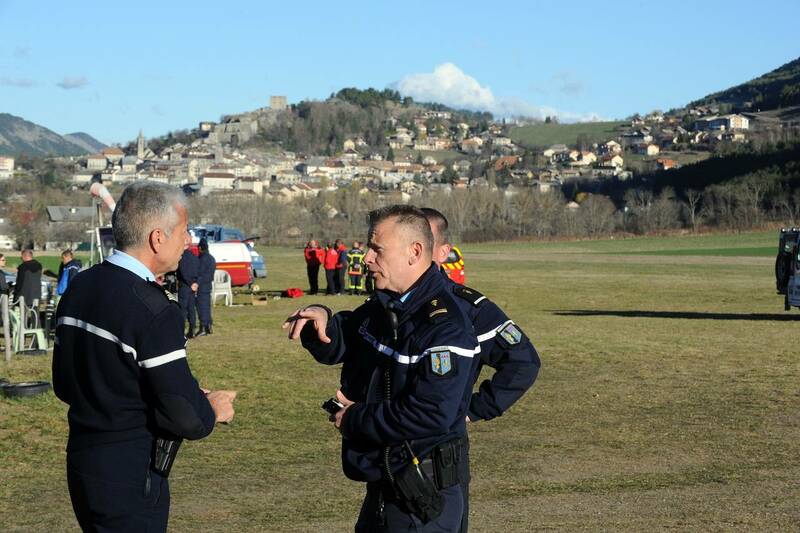 French police discuss operations at the site of the Germanwings crash, in Seyne-les-Alpes, French Alps, on Tuesday. PARIS-France's aviation accident investigation office is focusing its probe of Germanwings Flight 9525 on "systemic weaknesses" that may have led to the crash, including how the airline industry vets the psychological backgrounds of pilots. The Bureau d'Enqu�tes et d'Analyses said Tuesday its investigators were deepening their probe of the flight, operated by the budget unit of Deutsche Lufthansa AG. French prosecutors said they suspected the jetliner's co-pilot deliberately flew it into a mountain killing 149 people. As one of the world's most prominent investigators of airline crashes, the BEA's findings are likely to be closely watched by aviation regulators in Europe and the U.S. The investigation, BEA said in a statement, will examine "the systemic weaknesses [that] might possibly have led to this aviation disaster or other similar events." The probe over what went wrong aboard Flight 9525 leapt forward last week when French prosecutors said they suspected Andreas Lubitz, the 27-year-old co-pilot, deliberately locked his captain out of the cockpit and flew the airliner into an Alpine ridge at 400 miles an hour. BEA's probe, the agency said, will look into the mechanisms and procedures used to lock cockpit doors as well as "the criteria and procedures applied to detect specific psychological profiles" of pilots. German prosecutors on Monday said Mr. Lubitz underwent psychotherapy years ago because of suicidal tendencies-a situation experts say is hard for airlines to detect. While Mr. Lubitz had been under treatment, the prosecutors say, he hadn't exhibited suicidal or violent tendencies recently. As French and German investigators comb Mr. Lubitz's life for clues of possible motives, industry experts have begun calling for tougher measures on how pilots are screened. Current rules don't require-and in some countries prohibit-a private doctor from sharing information on a pilot's medical condition with airlines and regulators. Germany has very strict privacy laws that bar doctors from revealing medical information on their patients. "That is probably something that is going to change," said Rob Bor, a specialist in clinical aviation psychology in London. Authorities may mandate information sharing. While an assessment of mental fitness is part of annual checks, Mr. Bor said they may not be as thorough as possible. Doctors performing the pilot checks may need to sharpen their use of clinical interview methods to catch pilots trying to hide medical conditions, he said. France's air accident investigation agency says it is examining cockpit entry and psychological screening procedures following the crash of a Germanwings plane in the French Alps that killed all 150 people on board. Authorities say co-pilot Andreas Lubitz, who in the past had been treated for suicidal tendencies, locked the captain out of the cockpit before flying the Airbus 320 into a mountain during its March 24 flight from Barcelona to Duesseldorf. In its first statement since the co-pilot's responsibility was established, the French agency known as BEA said Tuesday its investigation was aiming to provide a "detailed analysis" of flight data. The BEA also said it would be studying "systemic weaknesses" that could have led to the crash - notably psychological screening procedures and cockpit-door procedures. BERLIN - Lufthansa says its insurers are setting aside $300 million to deal with possible costs resulting from last week's crash of a Germanwings jet in the French Alps, in which 150 people died. Lufthansa spokeswoman Kerstin Lau confirmed a report on the set-aside in the daily Handelsblatt on Tuesday. She said $300 million is the amount currently reserved to deal with "all costs arising in connection with the case." Last week, the company offered immediate aid of up to 50,000 euros ($54,250) per passenger to relatives of the victims. Those payments are separate from eventual compensation payments. Prosecutors believe, based on data from the cockpit voice recorder, that the Airbus A320's co-pilot locked his captain out of the cockpit and deliberately crashed Flight 9525 from Barcelona to Duesseldorf last Tuesday. PARIS - France's leading pilots union said Friday it is filing a lawsuit over leaks about the investigation into the crash of a German jet into the French Alps. Pilots around Europe are angry that information about the final moments of the flight was reported in the media before prosecutors and others were informed. Pilots are concerned that the circumstances of Tuesday's crash will damage public trust. After leaks in the media about the crash, a prosecutor announced that cockpit recordings indicate the co-pilot of the Germanwings A320 jet intentionally flew the plane into a mountain. All 150 aboard were killed. Guillaume Schmid of France's SNPL union told The Associated Press on Friday that the lawsuit is over violating a French law on keeping information about investigations secret while they are ongoing. The lawsuit doesn't name an alleged perpetrator, a method in French law that leaves investigators to determine who is at fault. "We can understand there is a certain pressure, a wish to know," Schmid said - but he warned that leaking information too early can mislead the public instead of informing accurately. The French air accident investigation agency, the BEA, "will never be able to satisfy the demand for immediate information. ... It is designed to resist that," and instead is meant to focus on "establishing irrefutable facts," he said. European Cockpit Association also expressed concern about the leaks and urged further investigation before drawing final conclusions. The idea that the crash was deliberate is "shocking," it said in a statement. "Our thoughts are with the victims and their relatives. As trusted professionals, who invest a lifelong career in making air travel safe, this is a very difficult day for us." French Red Cross members and inhabitants pay tribute to the victims in front of a stele, a stone slab erected as a monument, set up in the area where a Germanwings aircraft crashed in the French Alps, in Le Vernet, France. Almost a week after a Germanwings jet smashed into the French Alps with the loss of 150 lives, its flight data recorder remains the missing piece in proving that co-pilot Andreas Lubitz sent the plane into its deadly dive. Evidence that Lubitz deliberately crashed the Airbus A320 operated by the Deutsche Lufthansa subsidiary after locking his captain out of the flight-deck is based on an analysis of sounds from the airliner's cockpit voice recorder, which was discovered a day after the tragedy. The theory has been backed up by a series of revelations regarding his mental state. The second device's housing has also been found, minus its contents, suggesting that an impact speed estimated at about 400 miles an hour was sufficient to rip the so-called black box apart. Even so, critical elements including computer chips that store information across hundreds of parameters are still likely to be recovered, based on past experience, experts say. "For the sake of good order in the investigation they need to have it," said Paul Hayes, safety director at London-based consultants Ascend Worldwide. "The investigators must consider everything, and make sure there wasn't some undetected problem with the aircraft." France's BEA air-accident investigator hasn't commented since a press conference to announce the discovery of the audio recorder, when it declined to provide information beyond saying that "voices" could be heard on the device. Daily phone calls and emails to the agency, responsible for leading the technical probe into the event, have since gone unanswered. Searchers at the site of the crash are also focused on finding body parts that will allow for DNA identification of those killed, partly to aid burials and bring closure for relatives, but also to ensure that all passengers and crew are accounted for and that there was no one else on board. No details have been provided on how ground teams are going about the search for the flight data recorder on the precipitous mountain slopes, though searches have ultimately proved successful in equally trying conditions in the past. After a Sukhoi Superjet 100 slammed into steep and heavily forested slopes of Mount Salak, a dormant volcano near Jakarta, in 2012, search teams managed to find both boxes. When Air France Flight 447 disappeared over the Atlantic Ocean en route from Rio De Janeiro to Paris in 2009, an ultimately fruitful undersea search for the recorders took fully two years. While the bid to locate black boxes from Malaysia Air Flight 370, which went missing last year, has so far failed, that's because the wreckage itself has yet to be located. Ascend's Hayes said investigators should be able to extract information from badly damaged data chips, even if they must be pieced together. Readings would then be married with sounds from the voice recorder to provide a second-by-second account of what happened throughout the entire flight. While the level of detail available from the voice recorder suggests that the current explanation of Germanwings Flight 9525's demise is unlikely to change, the FDR still needs to be found if all doubts are to be eliminated, Hayes said. "The worst thing you can do in an investigation is start off by saying you know the answer," he said. "You still need to do the full investigation." Two U.S. Forest Service workers were killed and a third was seriously injured Monday when their helicopter crashed during a controlled burn in Mississippi, authorities said. The helicopter, a Bell 206L-1, went down about 3 p.m. (4 p.m. ET) near Saucier, about 25 miles northwest of Biloxi, the National Transportation Safety Board confirmed. The NTSB said it would lead the investigation. "We do have two confirmed fatalities," Harrison County Fire Chief Pat Sullivan told reporters. The third crew member was airlifted to the University of South Alabama Medical Center in Mobile, he said. The men were contract workers who were monitoring a controlled burn of about 800 acres in De Soto National Forest, authorities said. Eddie Baggett, a prescribed fire specialist for the Forest Service, told the Biloxi Sun-Herald that he lost contact with the crew shortly before 3 p.m.
"Somebody called me on the radio and said we may have an incident," Baggett told the newspaper. "Usually, I'm talking to them all the time. A team of US Federal Aviation Administration (FAA) officials visited India on Monday for a final review of safety measures taken after it had downgraded the country's air security ratings over a year ago, sources said. A senior Directorate General of Civil Aviation (DGCA) official told Business Standard consultations with the FAA team would continue on Tuesday. This is the second time FAA has audited India's air safety following the downgrade in January 2014. India is hoping for a return to Category-I status. A review would occur only after FAA filed its inspection report in April, sources said. "The FAA team is likely to file its report by April 10 and we are hopeful of a review by the end of April," a senior ministry official said. FAA had lowered India to Category-II because of inadequate safety oversight. During its earlier visit in December, the FAA had flagged shortage of full-time flight operations inspectors and safety procedures. Category II means India's aviation safety does not match international standards. Indian carriers like Air India and Jet Airways could not add new US flights, while existing ones faced more scrutiny by FAA inspectors in the US since the downgrade. The Cabinet last year cleared the appointment of 75 full-time inspectors. However, till February, the DGCA has been able to appoint only 45. On March 27, the DGCA published 21 such job vacancies on its website. On the day of the FAA team's visit, the home ministry asked the aviation ministry to revise air operator permits, sources said. The home ministry noted the delay was leading to losses and the process should be relaxed, an aviation ministry official said. 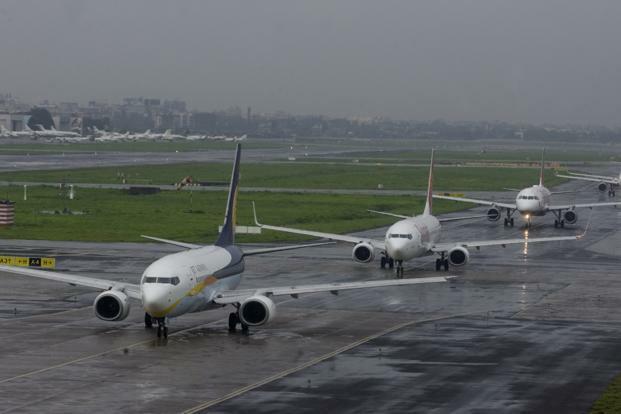 Following this, civil aviation minister Ashok Gajapathi Raju asked the secretary to formulate timelines for clearing of AOPs to airlines to ensure "least pendency in the process," the source added. Permits to Vistara were delayed last year, while Air India and Jet Airways had to go through complete re-certification in November-December. Past problems at Bangkok's main airport . Are they now coming back? Thailand is at risk of an aviation safety downgrade by ICAO and is taking urgent action under martial law powers to avoid the damaging commercial consequences that would follow such a decision. It's a story that ought to be of concern to Australian international carriers, given factors that could also cause a similar outcome because of the scandals and failures associated with CASA and the ATSB in recent years, and the inability of regulatory reform programs to meet declared targets under successive Labor and Coalition governments. Most of the world's aviation sectors, including those of Thailand and Australia, are rated as Level 1 states when it comes to having comprehensive, properly functioning and resourced air safety regimens. But the dog's breakfast of the Pel-Air scandal, where the regulatory shortcomings were actively suppressed and denied, and then saw an ATSB accident report failed in critical parts by a peer review by its Canadian counterpart, persist nearly five and a half years after that particular air ambulance flight was ditched near Norfolk Island in 2009. It isn't necessary to have a recital of the many past stories about these problems to understand the seriousness of issues that Thailand is now attempting to address and how equivalent sanctions or restrictions on Australian flag carriers could prove damaging. Should Thailand, or for that matter Australia, be busted down to Level 2 status, the flag carriers of each country would be prohibited from starting new services or adding capacity to existing flights to the US, or codesharing with US carriers, or face similar restrictions in some countries in Asia, with the latter situation already a problem for some Thai carrier access to Japan and South Korea as set out in the story linked to above. Such sanctions applied to Qantas or Virgin Australia would be manifestly unfair. However they apply to the flag carriers of countries in which the public administration of air safety is derelict by standards, resources and effectiveness. A potential case of airlines of the highest standard being punished for the sins of the bureaucracy supposed to regulate them, and the governments supposed to be deeply and meaningfully engaged in their performance as measured by an audit process. Thailand's problem is not with what its goals or ambitions for aviation administration might be, but with their current state of delivery. Critics of CASA and the ATSB have in the recent past documented the poor state of such administration in Australia, but neither the previous government nor the current one have lifted their game above taking the advice of the very bureaucracies that are failing to perform. Taking the advice of the Australian public service that everything is fine in the administrative side of aviation for which those same bureaucrats are responsible can bring the Australian airline sector undone. The Thai situation ought to jolt the Australian government into taking a similar interest in the aviation industry. It probably won't. The union representing Las Vegas-based Allegiant Air's pilots has turned up the heat on company management by publishing a letter to customers warning them of safety concerns they have with the airline. APA Teamsters Local 1224 has purchased advertising on Google directing prospective Allegiant customers to a letter telling them that passengers could be "flying an airline that is content with just barely meeting acceptable safety standards." "This is not something we prefer to do," said Daniel Wells, president of the union that represents pilots of 10 other airlines in addition to Allegiant. "We believe in a progressive approach (to labor negotiations), but this is a sign of how bad it's gotten and how concerned we are." Allegiant officials called the letter "a scare tactic" and that the union is in engaging in "heavy-handed bullying tactics." They said they plan to be back to negotiations in late April. In January, pilots voted 465-8 to authorize a strike against Allegiant. Negotiations between the union and Allegiant management have been fruitless since December 2012 when contract talks began. At issue in the negotiations are pay and pilot work rules involving seniority and scheduling. The union contends that Allegiant is the nation's most profitable airline but that pilots are underpaid. The pilots' letter to passengers said they "are uncomfortable remaining silent about company practices that negatively impact our customers' travel and vacation, including your comfort, and - most importantly - your safety." The letter says Allegiant represents the worst in an economy today where greedy CEOs disregard needed investments into a company's workforce and infrastructure at the expense of passenger safety and for the benefit of Wall Street. "Pilots at Allegiant Air are speaking out because our passengers' safety is our top priority and we know that investments in the company's infrastructure, fleet, pilots and mechanics are needed to ensure its long-term success," the letter said. The complete text of the letter is at www.apa1224.org/AllegiantAirPilotLetter.asp. A top executive with Allegiant said safety is the company's top priority. "The safety of our passengers and crew is, above all, our number one priority," said Steve Harfst, Allegiant's chief operating officer. "Allegiant has one of the best safety records among passenger airlines in the world and complies with all Federal Aviation Administration regulations," Harfst said. "As we have said throughout this entire process, Allegiant and its leadership are committed to negotiating a contract with our pilots that is in the best interest of our pilots as well as our other work groups and the health of our business." Harfst said the National Mediation Board, which is overseeing negotiations, earlier this month directed the company and the union to return to the collective bargaining process with meetings scheduled in Washington April 29 through May 1. "Instead of addressing their issues at the bargaining table, the International Brotherhood of Teamsters has unfortunately chosen to engage in scare tactics, including manipulating facts in an attempt to manipulate our customers," Harfst said. Last week's crash of the Germanwings plane in which all 150 aboard were killed will put further pressure on the already "beleaguered" aviation war sector, says A.M. Best Co. Inc. in a special report issued Monday. Best said it believes the majority of the loss will be absorbed by the Lloyd's of London market, as well as a number of global insurers and reinsurers, according to the report, which was issued by the rating agency's London office. Allianz Global Corporate & Specialty S.E. has been cited as the lead insurer of the all risks policy covering the aircraft, which was operated by Germanwings, a unit of Cologne, Germany-based Deutsche Lufthansa A.G., according to the report. The report says passenger liability claims in connection with the crash, which reportedly was caused by its suicidal co-pilot, will be covered as part of aviation all risks policies and represent the majority of the overall loss. The level of liability is uncertain but will depend upon the nationality, earning potential and family status of the passengers and crew, according to the report. In terms of physical damage, the aircraft is valued at $6.5 million. Best says if reports that the plane crash was caused by deliberate pilot action are correct, the insurers that underwrote the airlines hull war policy, rather than its all risks policy, are likely to be liable for the physical damage. The report notes the crash followed a series of high-profile aviation losses in 2014, including the March 2014 disappearance of Malaysia Airlines flight MH-370, hull claims caused by fighting at Tripoli Airport, and the downing of Malaysia Airlines flight MH-17 in Ukraine in July 2014. The report says premium rates for the aviation war sector rose in 2014 in response to claim activity, although the level of increase was disappointing, given the magnitude of losses, and upward momentum stalled towards the end of the year. The report says also the aviation market on the whole has performed well over the past 10 years, with results repeatedly bolstered by substantial reserve releases. The FAA approved a request to extend NBAA's small aircraft exemption for another 12 months, expiring on March 31, 2016, the association announced on March 30. Available only to NBAA members operating in the U.S., Exemption 7897F allows Part 91 operators of small aircraft (mtows of 12,500 pounds or less) to take advantage of the flexibility usually offered to operators of larger, turbine-powered airplanes. This includes use of alternative maintenance programs and limited cost reimbursement for certain flights as permitted under FAR Part 91, Subpart F. It also applies to the use of time-sharing, interchange and joint-ownership agreements that are typically reserved only for aircraft with an mtow of more than 12,500 pounds; multi-engine turbojet aircraft, regardless of size; and fractional program aircraft. However, the NBAA exemption does not apply to Part 135 operations or fractional operators. "NBAA is pleased that the FAA continues to recognize the importance of this tool to NBAA member business aircraft owners seeking to maximize the efficiency and usability of a small aircraft," said NBAA vice president of regulatory and international affairs Doug Carr. Many aircraft that use the small aircraft exemption fly to international locations, and the FAA is also reviewing NBAA's request to remove a previously imposed limitation that barred use of the exemption for operations conducted outside the U.S. However, the FAA first wants to ensure that removing this limitation would comply with ICAO standards. Dubai: Dubai-based Emirates airline now offers Wi-Fi on 106 of its aircraft, with two to three more aircraft being installed with the connectivity every month. After updating the service in early February with a simpler sign-on process on top of other software updates, Emirates has seen a further 25 percent increase in uptake. Emirates said it continues to invest over $20 million annually on installing and operating inflight connectivity systems, which enable onboard Wi-Fi services. The airline said on its ultra long-haul flights (over 14 hours), over 30 per cent of passengers typically use Wi-Fi services, and on a recent flight to New York, 66 per cent of passengers used onboard Wi-Fi. 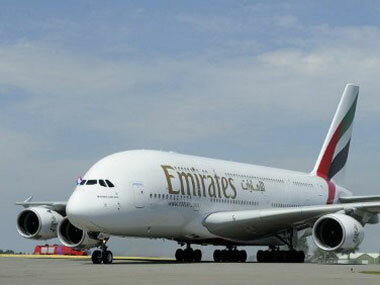 Currently, Wi-Fi service is available on all of Emirates' 59 Airbus A380 aircraft and 47 of its Boeing 777 aircraft. On more than 60 per cent of the installed fleet, the first 10MB data is free - sufficient for an update on social media accounts or texting via instant messaging apps. Thereafter, and for the rest of the fleet, users can enjoy 500MB of data for a token USD 1 charge. By giving either free access or charging a token amount since last October, Emirates has seen a near fivefold increase in usage. Emirates is in the process of converting all of its Boeing 777-300ERs and 777-200LRs to become Wi-Fi ready at the rate of two-to-three aircraft per month. "Customers seek free Wi-Fi on-the-go, especially while travelling, and it is becoming the norm for most people who want to stay connected through online social networks and instant messaging. "Emirates is subsidizing or waiving the high cost of buying data to serve our passengers on routes across six continents. We foresee that free Wi-Fi onboard is the future standard for all our customers, something that will require no charge or limitations," said Patrick Brannelly, Divisional Vice President for Customer Experience (Inflight Entertainment & Connectivity). In 2014, about 650,000 customers used Emirates' Wi-Fi service on board and as of early March this year, more than 350,000 customers have already used the service. ORLANDO, Fla. - Officials with the Orlando International Airport have recommended against making it the largest airport to get rid of the Transportation Security Administration. An airport advisory committee on Monday voted to keep Transportation Security Administration officers and not replace them with privately hired guards, provided the TSA meets certain benchmarks. Those benchmarks include moving passengers quickly through security lines. The top TSA official in Orlando said the agency can meet those benchmarks. The panel's recommendation now goes to the airport's governing board, which will decide in April whether to accept, reject or modify it. Thailand admitted on Monday it "urgently" needs to improve airline safety procedures as several carriers face bans on new international flights after a UN aviation agency raised concerns. [BANGKOK] Thailand admitted on Monday it "urgently" needs to improve airline safety procedures as several carriers face bans on new international flights after a UN aviation agency raised concerns. The International Civil Aviation Organization (ICAO), a United Nations body, reported "significant safety concerns" to Thailand's Department of Civil Aviation (DCA) after an audit earlier in the year. In response Japan last week blocked new flights from Thailand in a move affecting charter services by budget carriers Thai AirAsia X and NokScoot as well as Asia Atlantic Airlines, the DCA said, adding existing flights would not be impacted. Flag carrier Thai Airways, in a statement on its Facebook page Saturday, said two charter flights scheduled to depart for Japan next month had been affected. Transport Minister Prajin Juntong said Thailand must quickly improve airline safety. "The ICAO has warned us since 2005 about our aviation management and asked us to improve our systems," he told reporters Monday. "I understand we have to improve urgently." The DCA did not give details of the UN body's concerns but said it would provide new training for its staff and increase airline inspections as part of its overhaul. The ICAO headquarters in Montreal could not immediately be reached for comment.